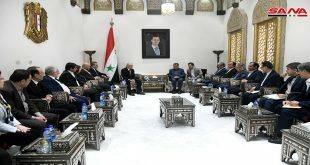 Damascus, SANA- Deputy Prime Minister, Foreign and Expatriates Minister Walid al-Moallem met on Sunday with Foreign Minister of the Republic of South Ossetia Dmitry Nikolayevich Medoyev, and the accompanying delegation. 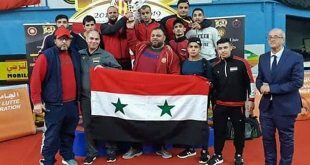 Talks during the meeting dealt with the importance of developing bilateral relations between the Syrian Arab Republic and South Ossetia in various fields. 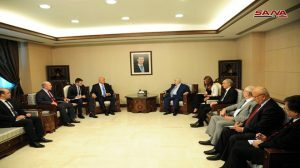 Al-Moallem said that this visit shows the interest of the two countries to strengthen bilateral relations, which will be crowned by the signature of a number of bilateral agreements, which constitute an important framework for their relations and serve interest of both friendly countries and peoples. He talked about developments of the situation in Syria and the region in light of the victories achieved by the Syrian Arab Army and its allies against terrorism and its backers. For his part, Medoyev expressed appreciation of the Ossetian leadership for Syria’s stance regarding the issue of recognition of the Republic of South Ossetia. 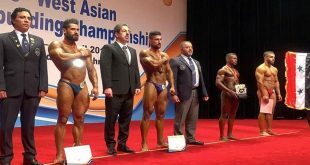 He stressed the Ossetian side desire to upgrade relations with Syria at all political, economic and cultural levels. Medoyev affirmed his country’s solidarity with steadfastness of the Syrian people to face the terrorist war being waged against them and preserve Syria’s sovereignty and territorial integrity. He hoped that peace and stability will return to Syria as a whole to restore its cultural role in the region and the world. 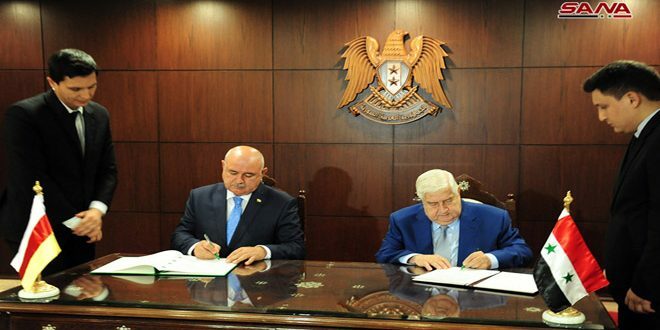 Following the meeting, the two ministers inked the agreement on setting up diplomatic relations between the Syrian Arab Republic and South Ossetia.